Your water heater, washer, dishwasher, refrigerator and air conditioner are all common sources for water damage. Aged water heaters can rust and leak, water supply hoses on washing machines and dishwashers can develop leaks and hundreds of gallons of water can escape in just minutes causing harmful damage. Plumbing problems like clogs and stoppages can lead to overflowing fixtures such as toilets, sinks and laundry tubs. Other issues include grease buildup in kitchen sinks, lint accumulation in washers and tree roots in sewer lines. 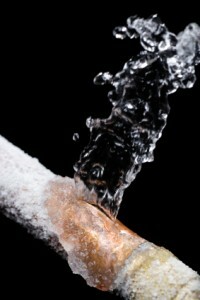 Especially in the winter, frozen pipes can burst and damage the building. Missing, damaged or weakened roofing materials can allow water entry through the roof and damage your ceiling, walls and floors. Poor attic insulation and ventilation can speed up a roof’s decay and create ice dams in the winter. The weather, like wind, snow, rain and ice, can also hurt the roof’s effectiveness at keeping water out. Water damage restoration is an emergency business. 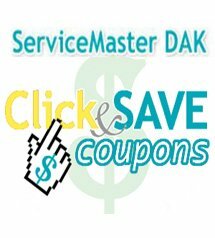 That’s why ServiceMaster DAK is on call 24 hours a day, 7 days a week, and 365 days a year – 847-564-0204.